• View topic - Swedish mundane building in 14:th century. Swedish mundane building in 14:th century. I was at Skansen (oldest and biggest openairmuseum in sweden) and took some photos of medieval swedish houses if thats of interest. 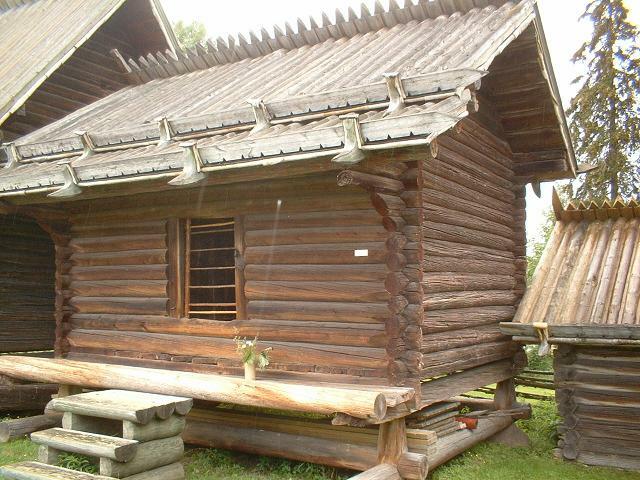 This house is a storagehouse, its from 1320. 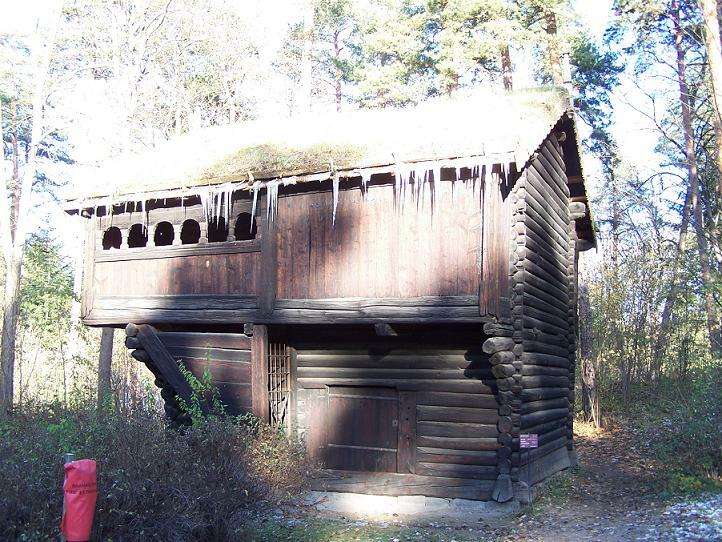 It is from the middle/northen parts of sweden where loghouses where the predominant form since trees where in abundance. The house is part of a framstead complex (fyrlänga) where the rest of the houses are from 1500, but still share the same buildingprinciple and looks like 14:th century houses. A closer look at the door and the double lockplates. I have no idea how this lock works. The next house is a storage (härbre) from Norway (Telemarken). Parts of this house is from early 14:th century. These houses are quite big and it might have been it was placed out in the 'Fäbodvall' and was used by the farmhands to sleep in summertime. A Fäbodvall is a rather remote place where the critters are moved to for summer gracing. During the summer a farmhand looked after them and made butter and cheese of the milk that was then transported to the main farm. The 'härbre' is often placed a bit high from the ground to make it more difficult for animals to get to the things sored inside. To keep it safe from wolves and bears it was sometimes placed even higher. The Härbre below is not medieval (as far as i know...) but shows a not uncommon way of dealing with this in the northen parts. Under it you can spot the log cut out with steps to access the door. The 'gärdesgård' is a new kind of fence in middle ages. During viking times they mostly used 'Flätesverk' (pleated fence). The Gärdesgård is easier to make and not as timecomsuming. Bigger strethces of land could be fenced in and farming could increase one notch. Also note that this gärdesgård is not as airy as modern ones. This 'dense' sort is common an medieval maunscripts (as for example codex Åbonensis). 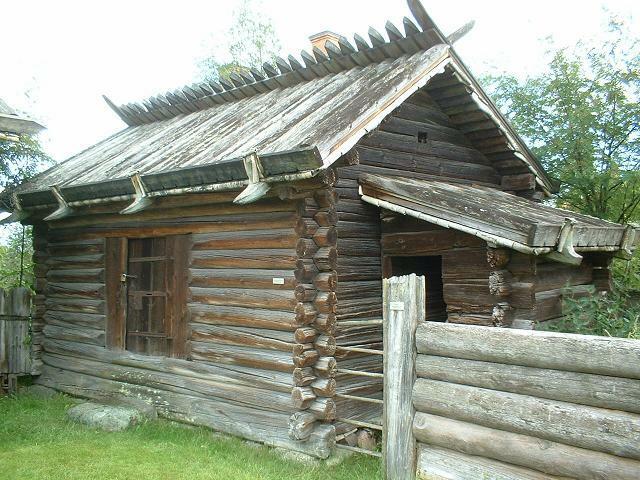 Gärdesgård was a vital thing in the rural life and there are early laws regulating how and where to make them and what happens if you chop one up och your bull wrecks one... So, the old, and common gärdesgård is as medieval as it gets my friends. Re: Swedish mundane building in 14:th century. The storage building you call "härbre" is in finnish called "aitta" and some of them called "nila-aitta" have only one "leg". The legs are usually treestumps standing where the trees (mostly spruce) grew. So, has the one in the foto been moved to its current location from somewhere else? 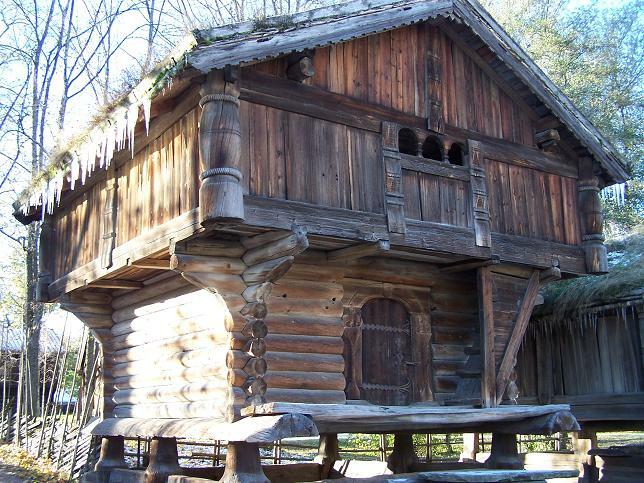 The old russian tales tell of the wich Baba Yaga who lived in a cottage whith chickens legs. 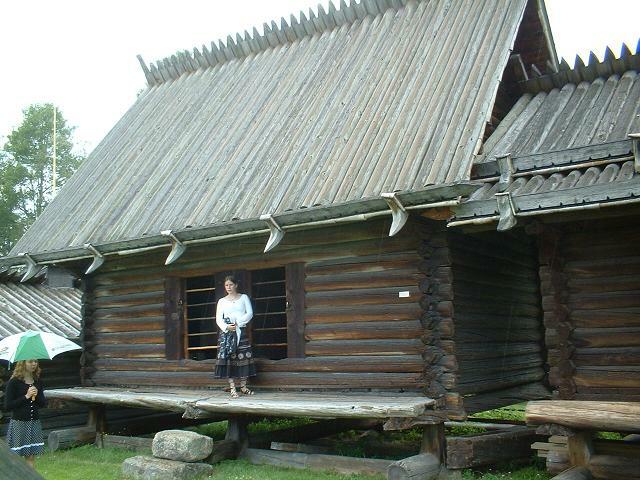 Lennart Meri wrote that this story was born during about the 5th-6th centuries, when slavs first made it to the north and found old fennic people who had left their communities to wait for death in an "aitta" build in the wildernes for the travelling hunters storages. 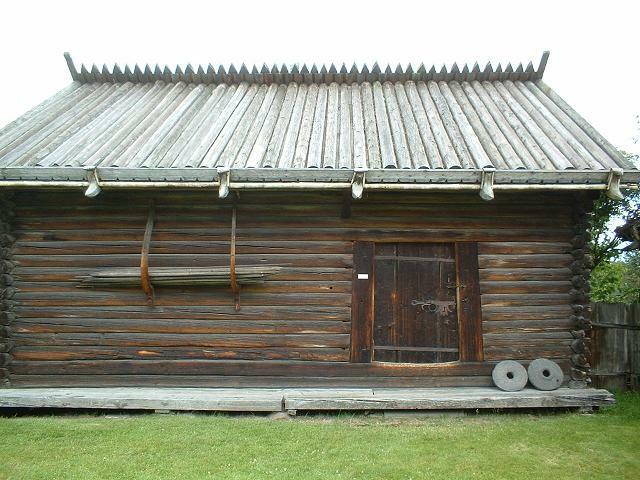 The tradition to build these small storages in the wildernes well survived even after medieval times in Finland. There is an outdoor museum on an island in Helsinki called Seurasaari. The buildings there are a lot later than medieval. Beside the museum is a smaller island called Pukkisaari, on wich I have taken part in a project to build ancient finnish buildings. They are reconstructions based on both archeological findings, and studies of traditional knowledge. The main focus was in late iron-age that in Finland is roughly dated in the crusades period 1000-1300. Even tough I do not like all the solutions made in this project. In my opinion this is an educated "gues" on what buildings in medieval Finland and Sveden could have looked like. I got some pics of medieval houses dating to the first halv of the 14th C. All those are in the collection of the Zorn Museum in Dalarna. 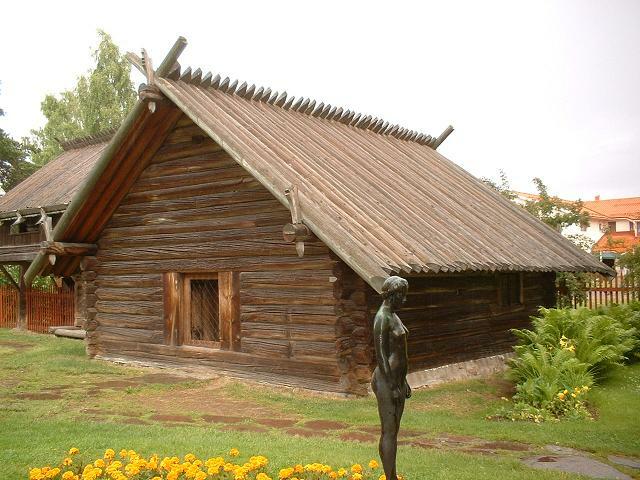 If you are going to visit Dalarna in sweden some time, make sure you visit Gammelgården in Mora. Swedens best collection of old loghouses. 1. Eldhus, house for a fireplace. Dated 1292. The second oldest mundane building in Sweden. 5. "Härbre" Early 14th C.
http://www.kurage.wordpress.com -blogg about historical handcrafts and reenactment. And i just love those roofs with one side longer over the top.. dirt easy way to water and snowproof it. And Hyvääri, my girlfriend just remarked on the 'härbre' and Baba Jagas house when we took that picture, fun to see she was on to something there.. Here are some more houses from norway, dating from the first half of the 14th C. They are really nice, our neighbours know the art of ornaments. Our houses is far mor modest. Den översta bilden där Anders, är rätt lik ett av husen på kulturen i lund. Men visst har de inga så gamla hus där? Nej, men bygnadsättet är samma ända upp till 1800-tal.